You are here: Home / Who is your Ideal Client? Two hours later, the accountant leaves with no leads, leaving behind a room of people none the wiser on how they can help this person. Another accountant walked into the same room at the same time and asked for introductions to directors of small businesses who would like to pay less tax and more into their pension funds. This accountant has 5 calls to make the next day to arrange meetings with prospective clients and introducers. Can you define your Ideal Client? Why should you define your Ideal Client? 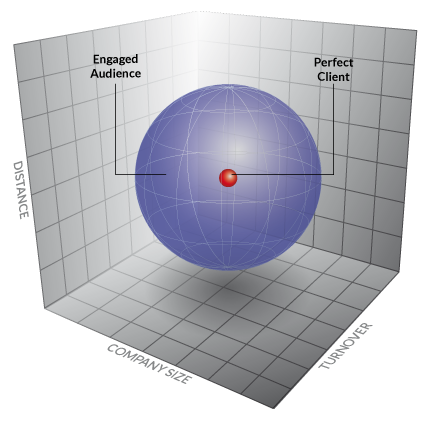 SME Needs will help you define your Ideal Client. We develop the key messages that prove you can help them and we help collate the evidence to prove it. Our brainstorming workshop gathers and structures the thoughts of your team to develop this Ideal Client so that you can focus your marketing at that person (it is always a person) and get more of the leads you want.